Front row seats to Edmonton’s biggest events & best hotels in Edmonton. Chop Edmonton Downtown is open for breakfast, lunch, happy hour, dinner and late night - whether you’re having a cocktail after work or have come for a delicious meal, our servers are always happy to see you! 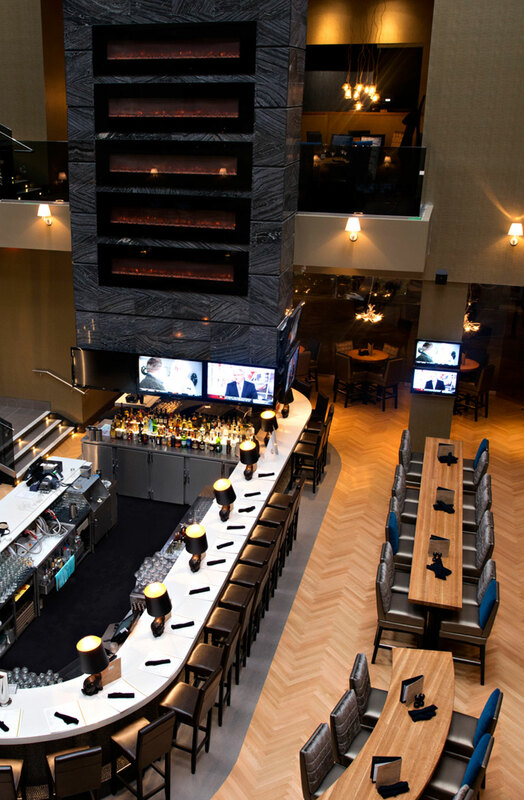 Stop by for our late menu of drinks and snacks after a big event at Rogers Place - perhaps the best time for a cold beer or a glass of wine and a great conversation. Reservations are available and walk-in guests are always welcome. In the morning, we’ll serve you Edmonton’s best breakfast in our stylish dining room. Rather stay in bed? We’ll deliver room service right to your door. At Chop, we love local, so we proudly participate in Edmonton’s Downtown Dining Week – a lunch and dinner menu event that showcases some of the best steaks and best seafood from our kitchen. Chop is all about fresh with house-made desserts and different feature menus throughout the year. If you’re a seafood lover you also won’t want to miss our Steak & Crab menu or our Lobster Grill. For special events or a casual dinner any time of year don’t miss Edmonton’s best steak restaurant – Chop Steakhouse & Bar.